Waah! It's an angelring!! KILL IT!!!!! Like the tranquility of the scan. Thanks for the share. 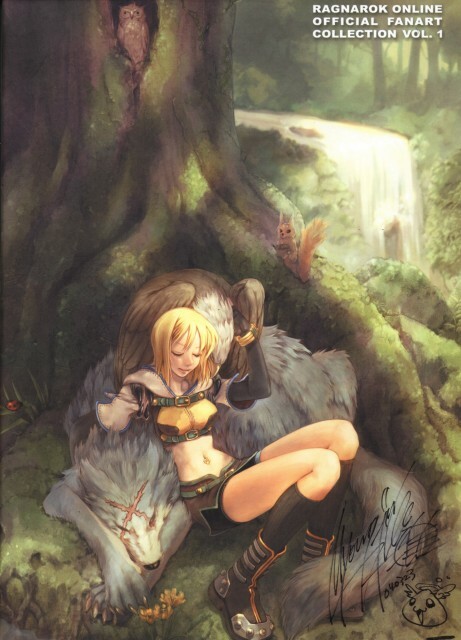 Among all the original artwork collections of Ragnarok, this has been my constant fave. I just love it! great! It's so hard to find! Myounjin draw this, i'm sure of it. very nice scan ^_^ it's so dark and mysterious !